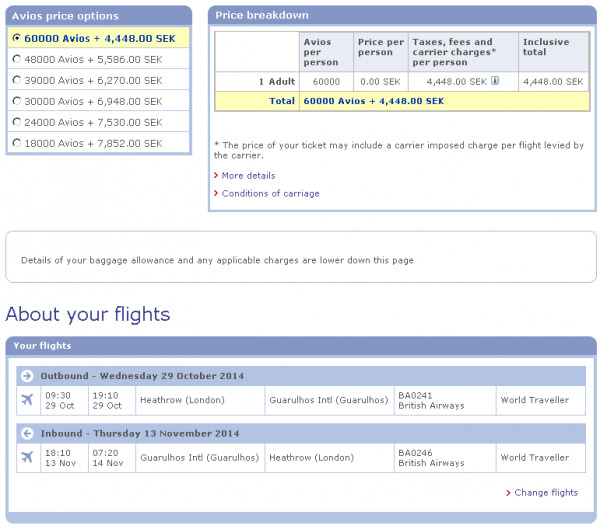 Diskussion i 'British Airways, Executive Club' startad av Dr. Miles, 30 Juni 2014. Book by 13 July and your Avios can go double the distance. It's a great time to plan a get away. For the next 14 days we've halved the Avios you need for a reward flight to a range of exciting cities. Simply book a World Traveller reward flight to selected destinations by 13 July and you'll need 50% fewer Avios provided you travel between 1 October 2014 - 28 February 2015*. And should you wish to arrange car hire or make a hotel booking, you can use your Avios on those too. *Offer excludes travel between 18 December 2014 - 10 January 2015. Taxes, fees and charges apply to all flights. Terms and conditions apply. 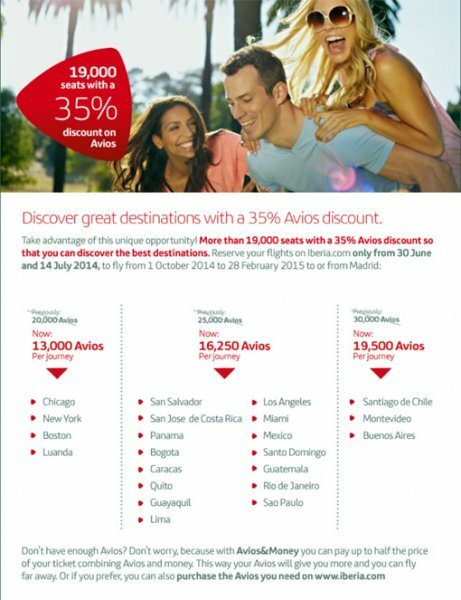 The required amount of Avios will be reduced by 50% on the selected destinations as stated from London, based on British Airways flights in economy class only, for bookings made from 30 June to 23:59 on 13 July 2014. Valid for travel between 1 October 2014 – 28 February 2015 excluding 18 December 2014 - 10 January 2015. The full airline taxes, fees and carrier charges will apply per person. A £15 booking fee per product will be applied to any booking made over the phone, which could have been made online. A booking fee of £15 per person applies when booking flights. All bookings are strictly subject to availability, which may be very limited or unavailable on some routes at certain times especially during peak periods. The total number of seats available for Reward Flights will vary from route to route and from week to week depending on commercial demand. All bookings are subject to Avios and its suppliers terms and conditions, as well as British Airways conditions of carriage. All information correct at time of going to press but subject to change or withdrawal. Det visar fortfarande 60.000 avios till Sao Paulo för resan under kampanjperioden. För övrigt, det är fruktansvärt dåligt värde att använda avios på det viset även med rabatt på avios. - To / From Madrid to Boston. - To / From Madrid to Quito or Sao Paulo*. - To / From Madrid to Buenos Aires* or Santiago de Chile*.